Minimum Let is Friday to Monday or Monday to Friday . St Andrews is a beautiful town with great shops, restaurants and bar/restaurants. 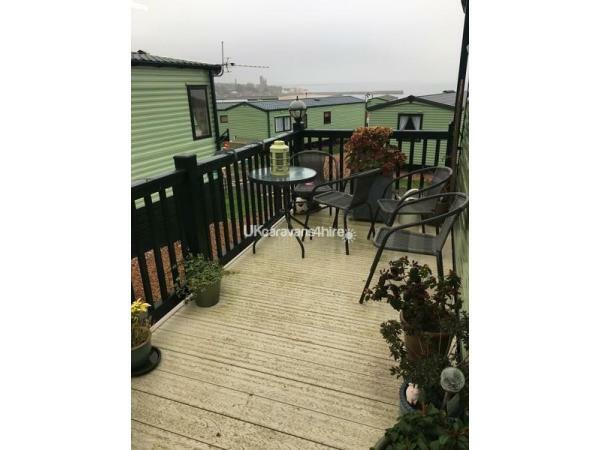 From this caravan it's a five minute walk to the East Sands which can be seen from caravan. Thereafter it's s 15 minute walk into town. There's also a leisure centre at East Sands with pool, gym etc. St. Andrews is a very historical university town with plenty to discover on your doorstep. The site is also on the Fife Coastal Path where you can embark on great walks to beautiful towns on the Path including Elie, Anstruther, St Monance, Pittenweem to name but a few. Caravan now has full WIFI added so bring your i pads, firestick etc. PLEASE NOTE MINIMUM LET IS 4 DAYS. Additional Info: Newly renovated restaurant and clubhouse with entertainment. Also children's play area inside and outside. We have stayed in many parks now and this experience from Frances and Brian was quite simply the best we have had. The views from the lounge and balcony bring calm with immediate effect. It really was a home away from home for us as we like to cook and walk. The fully equipped kitchen with full size fridge was fantastic and our daughter enjoyed the large television and wifi ! 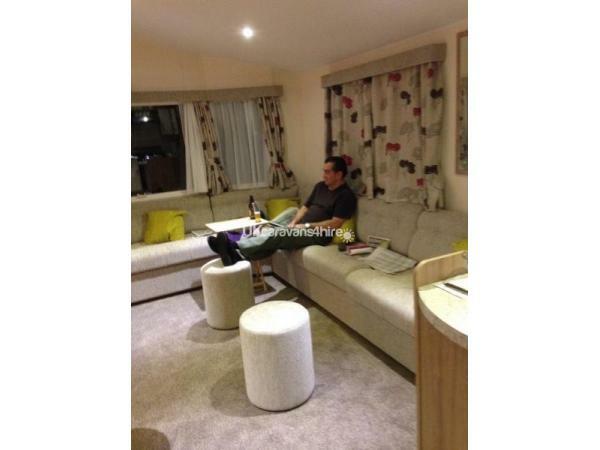 We liked the fact that it is a new caravan with an open plan lounge - very spacious. Thanks again Frances and Brian for the easy booking process and the welcome you gave us to your caravan on arrival. We would love to stay again next year ! Thank you Frances and Brian for the hire of your caravan. It ticks every box. 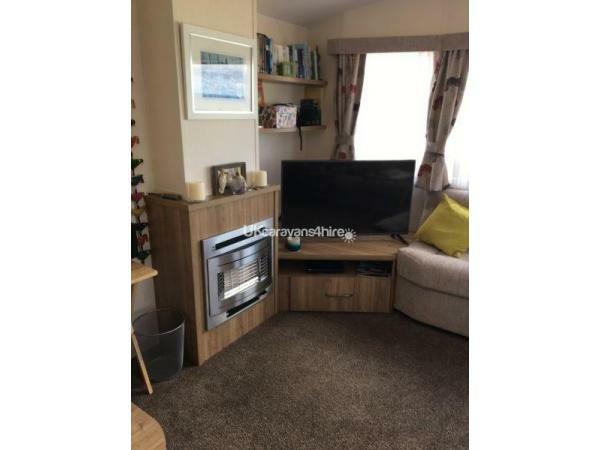 Fantastic caravan, perfect location for amenities, beach and a fab coastal walk into St Andrews, we all had a marvellous time with plenty of sunshine. Lovely meeting you both on arrival, everything perfect from beds all made up, fresh towels, spotless caravan and not forgetting a nice bottle of wine and chocolates, what a lovely thought. We hope to book again as we had a great holiday so chilled and relaxing. It's a ten out of ten from us all. Thanks again, the Guy's from Uddingston. 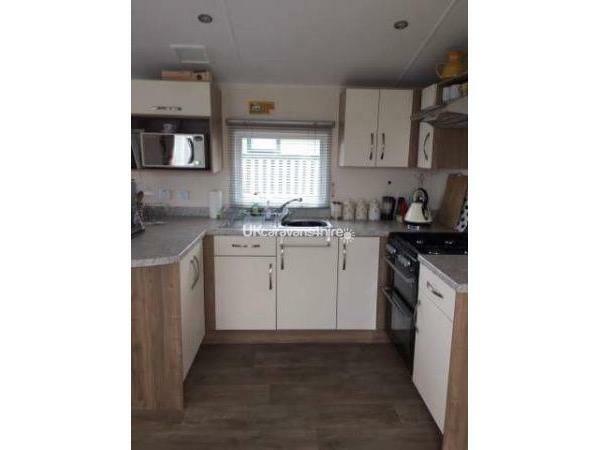 A beautiful modern caravan, extremely well equiped. Situated in a stunning position, outlook could not have been better. The owners were very helpful and friendly, and we would definitely use this holiday home again. We have recently returned from a lovely weekend at this caravan. The caravan stood in a perfect spot with beautiful views. The caravan was very spacious and very well equipped. Frances was very efficient with the correspondence and when we met Frances and Brian on arrival they both made us feel welcome. We hope to return to their lovely caravan. 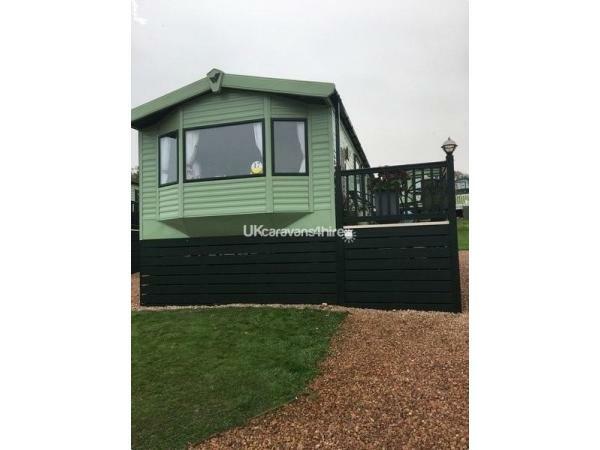 Very nice ,modern and spacious caravan with a great view over the town. Frances made booking arrangements very simple and was on hand to welcome us when we arrived. We would return again. The booking was great, Francis was quick to respond to my enquiries and got us booked in quickly. Lovely, warm friendly and helpful on arrival. Gave good info on local area. The caravan is in a great position with great views and safe for the children age 6 and 9. The caravan is very clean, lovely and homely with everything we needed for our stay. This is a gem of a caravan site, quiet but lots to do with a young family in the area. Swimming pool at the foot of the site, lovely beach, walks and shops to explore. Dundee 20 minutes in car so had a wee trip there also! Fabulous wee caravan in a fabulous site! We will be back soon. Thanks very much. Caravan was brilliant and we had a fantastic time. Frances and family were very helpful and let us add an extra night as we were enjoying it so much. The caravan has everything you need, and there was a wee welcome pack to enjoy on arrival. We will definitely be back for another visit. We had a lovely fortnight here and enjoyed our stay very much. Lovely clean van with a warm welcome from the owners. Views are simply stunning. We would love to stay again. Class spot, our fella loved it here. Francis and Brian were very welcoming. Definitely we will return. Park is very well run with excellent food. Great vistas and very clean mobile home.